The monthly average expense for this facility is approximately $3,193. The Monroe City average for the same type of care is around $2,855. The average cost for the State of Missouri is approximately $3,033, versus $3,937 nationally. Located in Monroe City, Missouri, Bristol Manor of Monroe City is a well-maintained and pleasant housing community for elderly people. The neighborhood around this community has a sparse population, with about 4,271 residents in the surrounding zip code. It is a largely middle class area, with a median per-home income of $41,973. The facility is located in proximity to plenty of local amenities, which include retail shopping, healthcare services, and worship services. Bristol Manor of Monroe City offers assisted living, independent living, and nursing home care. They can care for those who need help with day-to-day tasks but who want to maintain some of their independence. They can also provide for older people who are independent and self-sufficient but want a hassle-free lifestyle with services like on site maintenance, house cleaning, and social activities. 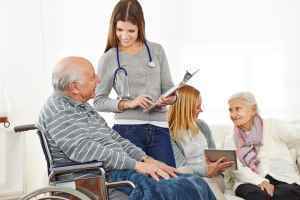 In addition, they can service those who are mostly immoble and who need to be cared for by medical professionals 24-hours a day. They have many services and amenities to offer their residents. For example, they provide multiple health services such as general assistance with personal care, nurses on staff, and medication support. In addition, they feature different enjoyable activities like arts and crafts and general communal activities. Finally, they feature lots of room features including in-room cable TV and regular housekeeping.